In Orlando alone, 60 percent of drivers admit they have operated a vehicle in the last twelve months even though they knew they were too fatigued to drive safely, and because this figure is self-reported, it is probably vastly understated. Nationwide, fatigue driving causes about one million vehicle collisions a year, and many of them result in serious injury or property damage. 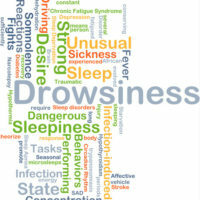 Drowsy driving is similar to drunk driving in two very big ways, not including the alliteration. Both alcohol and lack of sleep decrease reaction time and impair judgement skills,so a tortfeasor (negligent driver) who operates a vehicle after just 18 hours without sleep is just as impaired s someone with a .08 BAC. Furthermore, since drivers know (or at least should know) that they are either too drowsy or drunk to drive before they get behind the wheel, these breaches of the duty of reasonable care are among the most serious ones in tort law. Once upon a time, observers advised tired drivers to turn up the radio, drink coffee, or roll down the windows to ward off fatigue. While these tricks might help drivers feel more alert for a short period of time, they do nothing to address the driver’s lagging brain functions. Moreover, because they create a false sense of security, these little tricks often do more harm than good. In terms of negligence, fatigue almost doubles reaction time, which is one component of stopping distance. At 60 mph, most passenger vehicles travel a little over four car lengths in the time it take the drivers to see hazards up ahead, consider the options, conclude that they must apply the brakes, and move their feet from the accelerators to the brake pedals. If the drivers are fatigued, that distance is almost ten car lengths. Furthermore, the extended reaction time also increases the force in collisions, because the vehicles are moving much faster than they would have been if the drivers were well rested. The added force typically means that the injuries are much more serious, placing these kinds of wrecks in a different category of Florida law. Florida is one of eleven no-fault insurance states, a system that’s designed to expedite certain lower-dollar claims and keep them from clogging the courts; whether or not the no-fault law meets these goals is the subject of another blog. Victims of “fender-bender” accidents that cause some property damages and little or no personal injury may file claims with their own insurance company for noneconomic losses without going to court. Most serious injury wreck claims rely on either permanent injury or wrongful death. Fatigued drivers are very dangerous motorists. For a free consultation with an aggressive personal injury attorney, contact Reed & Reed. From our office in Brandon, Reed & Reed helps clients in Tampa, New Tampa, Plant City, East Hillsborough County and throughout the state of Florida.